The AE installer from http://mods.oni2.net/node/75 fails to run after specifying Oni installation folder. Hmm, this is interesting... I had no idea there was a Java 10. Going to java.com still offers you Java 8, which internally is v1.8 (meeting the minimum requirement of the AEI). 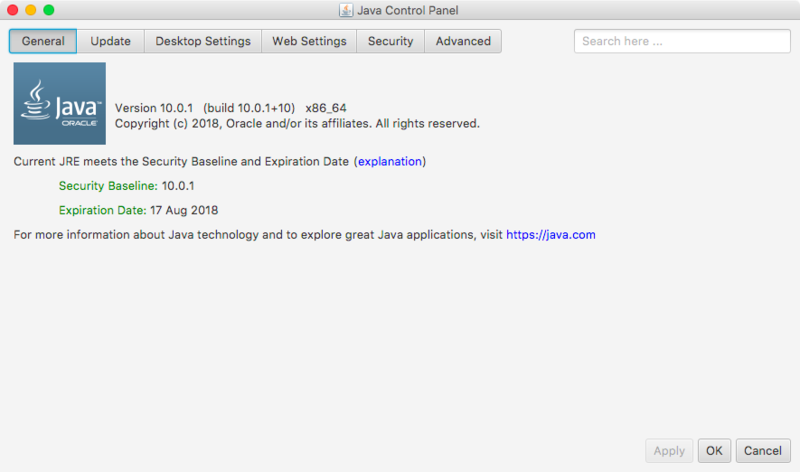 I see that Oracle is offering a Java Runtime v10 on their main web site, however. It looks like the version number being presented internally, 10.0, now matches the public-facing version number. I'll look into what causes the confusion in the AEI when it encounters "10.0". The fix for now would be to downgrade to Java 8, if that's not an inconvenience. Not really a fan of downgrading. Looks like I'll be waiting for an installer fix, even if it is not to appear soon.